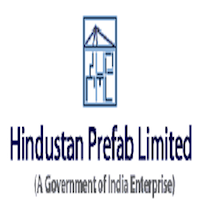 Online Application Details for Hindustan Prefab Limited HPL Recruitment of 205 Manager and 103 Assistant Manager is given below. Application form and duly attested documents are to be sent to Recruitment cell HPL India, 328, 3rd Floor, Shubham Tower, Next Fortis Escorts Hospital, Neelam Bata Road, N.I.T., Faridabad (Haryana)-121001. In envelope super scribed with 'Application for the Post of Post Name'.